Take the stress out of dinnertimes with these handy meal planning hacks. And don’t forget to download our free printable! If dinnertimes are super stressful in your home and you often find yourself picking up the phone to call for takeout it might be time to start thinking about what you’re going to feed your family ahead of time. Taking some time out once a week to sit down and think up a meal plan will save you time during the week. And it is so much less stressful to put dinner together when you know exactly what you’re making and you have the ingredients you need right there waiting for you. If you’re sold on the idea but you have no idea how to actually make a meal plan don’t worry because we’ve got eight handy meal planning hacks to get you off on the right foot. And don’t miss our free printable which you can download and fill in to keep track of when you’ll be eating what! If you don’t know where to start to pull your first meal plan together think themes. 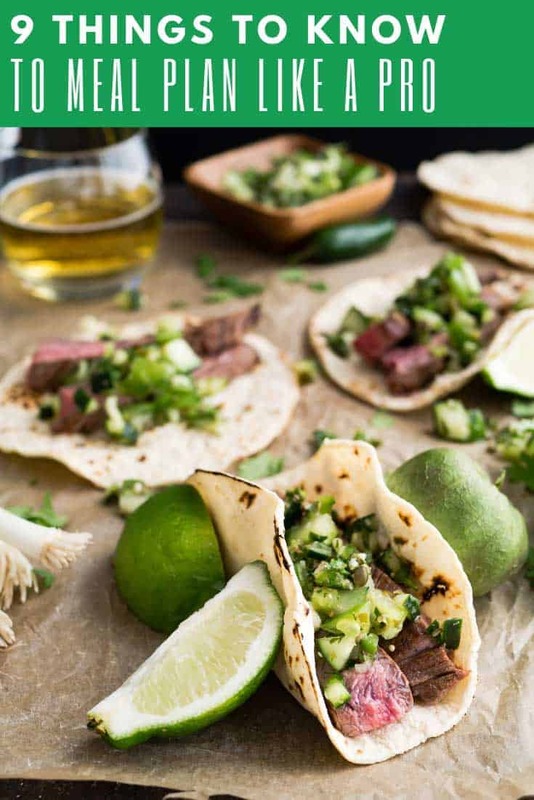 You know like Taco Tuesday. So you could have a soup dish on Monday, pasta on Tuesdays, something from the instant pot on Wednesdays, leftovers on Thursdays, pizza on Fridays, stir fry on Saturdays and casserole on Sundays. Now all you have to do is think of a protein or two to base the week around and pick out some recipes. You can save a lot of time by working your week’s meal plan around some core recipes. For example you could make a batch of homemade tomato sauce on the weekend and then during the week you could use it to make a taco soup, a grilled cheese and tomato soup casserole and then serve it up with some chicken parmesan meatballs! Meal planning not only saves you time but it will save you money too. Not only do you cut back on the food you buy, because you’re going to the store armed with a grocery list and knowing what you are planning to eat. But you will also cut back on food wastage too. And one of the best ways to do this is to plan leftovers into your weekly schedule. You can plan to reheat lasagna for lunch the day after you’ve eaten it for dinner. Or make omelettes or tacos for dinner using the leftovers from the previous night. When you factor leftovers into your plans you will realise that dishes can stretch for more than one meal, and you’ll purposely start to make extra. Welcome to the world of batch cooking! Thanks to batch cooking you no longer have to make everything from scratch every single week. You can make use of your freezer by batch preparing or cooking ingredients like pizza dough, tomato sauce or even mash potato. Just make sure you use decent freezer friendly containers so your food doesn’t get frostbite. And label it clearly, otherwise you might find yourself trying to make pizzas with pastry! Unless you keep a detailed inventory I bet there are things in your kitchen cabinets or even your freezer you’ve forgotten about. Make sure you take a good look before you head out to the store so you don’t even up buying more than you need. And of course if you dig around in the freezer and find that two pounds of ground beef you bought while it was on sale it might be time to get some beef dishes on your meal plan this week! On grocery day plan to eat a meal that you can put together at the deli counter. Think rotisserie chicken, or meatballs or even a freshly prepared pizza. There are 52 weeks in a year but that doesn’t mean you need to come up with 52 meal plans from scratch each week. Instead you can just create a handful of meal plans and then recycle them during the year. If you don’t want to repeat weeks then try coming up with meals for 10 days, then when you want to use that particular meal plan you pick out seven days worth of meals from the list. You’ll need to write down what meals you’re going to eat when, as well as keep track of what you need to pick up from the grocery store. We’ve put together a handy meal planner printable so you can keep everything in one place. Click here to download your free copy. It’s also a good idea to hang up a copy of your meal plan so everyone knows what they’re having for dinner! 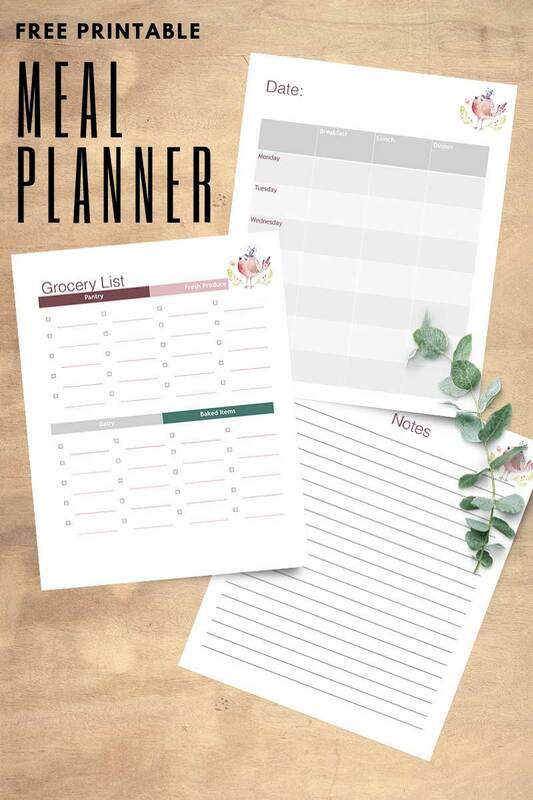 You can print out another copy of the planner or hop on over to our Zazzle store to pick up this handy dandy dry erase magnetic meal planner that you can hang on your fridge! If you really want to meal plan but the thought of coming up with recipes makes your head spin then use ready-made ones instead. Once a Month Meals has loads of meal plans to choose from and everything is worked out for you. You pick a menu and how many people you’re cooking for and it figures out everything right down to your shopping list. All you have to do is go to the grocery store and then do the cooking. Previous PostPrevious 10 Creative Mickey Mouse Craft Ideas for All You Disney Fans!